Ho,ho,ho.Welcome everyone across the world. As promised, I finally have a surprise for every reader on TFMQ . 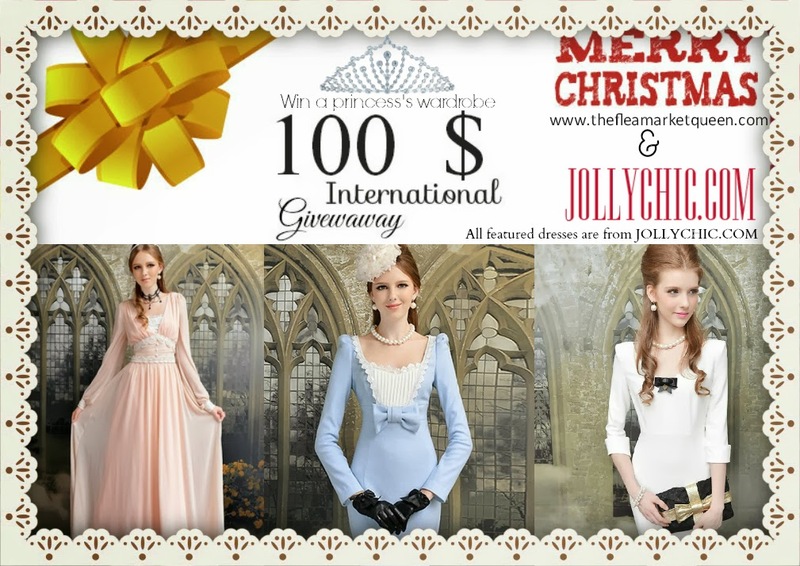 I am so excited to announce The first ever International Giveaway in collaboration with JOLLYCHIC.COM where you can win a 100$ giftcard to shop on their website. And I tell you they are jolly chic! Check out the dresses in the posters I created. You can buy those on their website. CONTEST Closes on 16th December. So invite as many friends as you can and be merry! Invite your friends on TWITTER by tweeting this post.My handle is @ilawise26 Invite them through my Facebook page here.Also join my facebook page to get regular updates. Thanks for this dear :) Jollychic has LOTS of gorgeous apparels! Thank-you and Happy Holiday! Looking forward to 2014. They have so many cute clothes on Jollychic! I love the Newly Long Sleeve Round Collar Wool Dresses. btw, do you want to follow each other by gfc or bloglovin? I signed up at Jolly Chic! Thank you for hosting the bog! Thank you so much for letting me in on this!! I am officially addicted to this site <3. I will totally share it and thanks again!!! Fabulous Giveaway by the way!!! Thank You!!! I have already registered at Jolly Chic! Hoping to take away this give away. Fingers crossed. Hi Ila, I have entered. Thanks, I am hoping to win to gift to my wife for her upcoming birthday! I'd give JollyChic's service zero stars if I could. They promised 3-7 days shipping, but it took 12 days for them to package it and 8 days for it to ship. That's 20 days total. Even after contacting them the first time, they said the order would be in within 9 days (4 days packaging, 5 days shipping). When requesting some sort of explanation and compensation for the inconvenience, their only reply was "it's the holidays, sorry" and offers to provide coupons on further orders (which will never be coming). I wish there had been more reviews up before I placed my order, but it looks like we were all suckered at the same time. Highly disappointed in my experience with them.